1 What are the Causes of Upper Lip Hair? 2 How to Remove Upper Lip Hair Naturally? 2.5 How to Remove Upper Lip Hair with Egg White? “A beautiful face is a mute recommendation.” You can grab anyone’s attention with your gorgeous face. That is the reason why most of the women strive to be beautiful. But some or more reasons like facial hair, pimples, etc. trouble them. One of them is the upper lip hair.No worry all you women! You can remove upper lip hair with some tips. 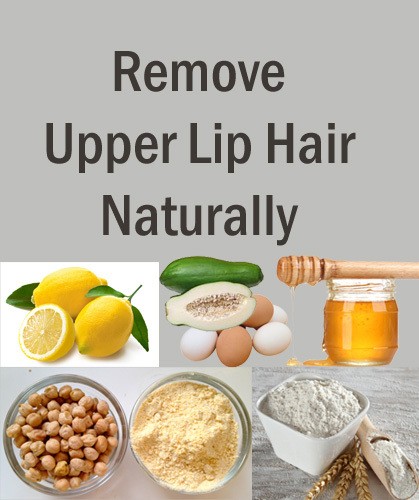 Go down the page and have a look at the natural remedies for upper lip hair removal. You are searching for the upper lips hair removal tips. Isn’t it? 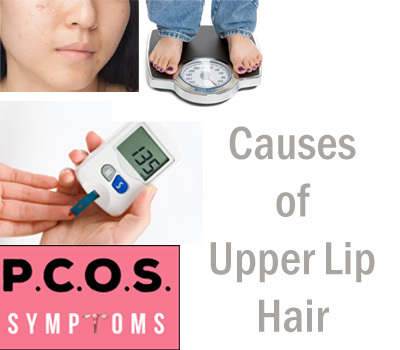 But it is important to know the reason behind the upper lip hair growth before trying the remedies. The next section will let you know what causes lip hair growth. What are the Causes of Upper Lip Hair? Women possess low levels of androgens (male hormones). But when there is an excess production of these hormones, you will start growing facial hair. And also if you have a problem of PCOs. Before going for the home remedies for removing upper lip hair, it is better to take a proper treatment for the causes. The most common reasons for female facial hair are the following. When you think of the hair removal, the first thing that strikes your mind is waxing. Or the other idea is going to a parlor. No doubt, a salon treatment is the best and a result yielding treatment. But affording the best treatment for upper lip hair is not possible for everyone. So, the cheap and affordable home remedies for hair on upper lip that gives you the satisfiable results are here. Following are some of the tips for removing hair from upper lips. Use them regularly, get rid of upper lip hair and let others wonder seeing your beautiful face. The honey wax is one of the natural ways to get rid of upper lip hair naturally. One can get a parlor experience with the honey wax for the upper lip. Moreover, you might get some pain with this waxing process, but it gives the best result. Heat the mixture of honey and sugar until you observe bubbles. Now, apply the honey wax to the upper lip using a spatula. Cover the wax with a cloth and let it stick to the wax. Now, pull the fabric at a stretch in the opposite direction of hair growth. You might be thinking that how to get rid of hair on the upper lip with papaya. Here is the method. When you apply the paste of papaya, it weakens the hair follicles and prevents them from regrowth. The papain enzyme present in the raw papaya is responsible for the prevention of hair growth. Remember that; only the raw papaya helps you but not the ripe one. Read also: Treatment for Dengue with papaya. 1 & 1/2 tsp – turmeric powder. Take out the pulp of raw papaya. Apply the mask on your lips and massage gently in the opposite direction of the hair. Let it rest for 15 to 20 minutes. How to Remove upper lip hair at home? Your grandparent’s first choice from the tips to remove upper lip hair is the chickpea flour. Because it is a well-known remedy for hair removal since the ancient days. It removes the dead skin cells and also the hair from the roots. 1 tbsp – chickpea flour. Mix all the ingredients in a bowl and get a pasty consistency. Apply the pack throughout the face. Now, remove the pack by rubbing in the opposite direction of the hair growth. How to Remove Upper Lip Hair with Egg White? A similar best wax for upper lip hair is the egg white. The egg white mask is similar to that of the honey mask. You will experience the same pain like the honey. Use this remedy once in a week to get rid of upper lip hair. Mix corn flour, one egg white, and sugar in a bowl. Apply it on the upper lip and let it dry. Peel off the pack in the opposite direction of hair growth. The most common kitchen ingredient is the chana dal. It is one of the natural remedies for upper lip hair removal. Make a paste from chana dal flour and water. Add a little amount of turmeric to it and mix well. Add a bit of fresh cream if you want. Apply the paste to your upper lip and let it dry. Now, remove the dried pack against the hair growth. Lemon is one of the upper lip hair removal tips at home. The lemon has exfoliating and cleansing properties. The sticky nature of sugar solution helps it to remove the hair. So, the combination of both lemon and sugar gives you the best result. Squeeze the juice out of two lemons. Add a little water and some sugar to the lemon juice. Apply this solution on the upper lip and let it dry. Now, wash it off with water by rubbing in circular motions. You can also do the lemon and sugar scrub in an another way. Heat sugar in a pan for a minute. Add lemon juice to the sugar solution. Wait till you get a thick liquid. Cover it with a cloth and let it stick to the paste. Rub over the cloth in circular motions. Pull the cloth at a stretch opposite to the hair growth direction. Milk has the cleansing and moisturizing properties. Besides, it also has the natural proteins which exfoliate the dead skin cells. So you can mix milk with the upper lip hair remover papaya pulp. Get the pulp out of a raw papaya. Add milk to the papaya pulp. Apply the paste throughout the face. Wash it off with pure water. Do this twice a week to get the better results. The main thing behind all these best ways to remove upper lip hair is that you should have patience. Regrettably, try to make use of them for at least three to four times a week for better results. If you have an excess hair growth on your lips or face, then for no doubt you should wait for nothing. Consult any health care professional and get the proper treatment.